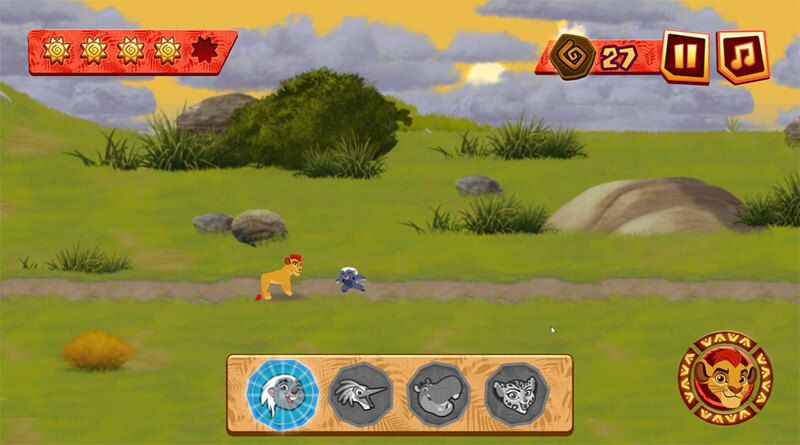 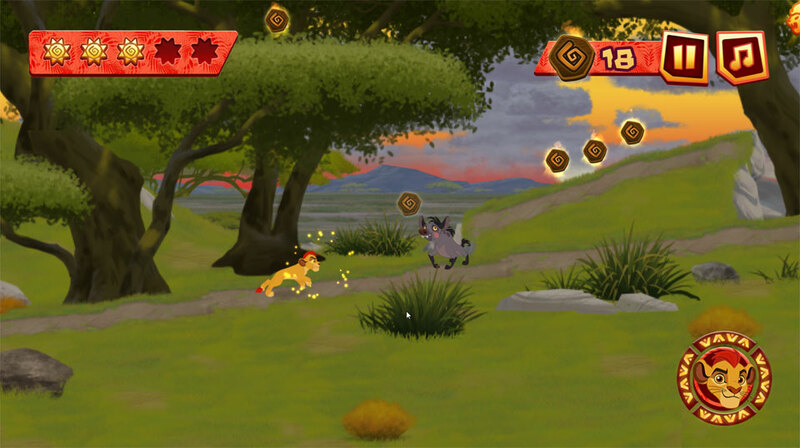 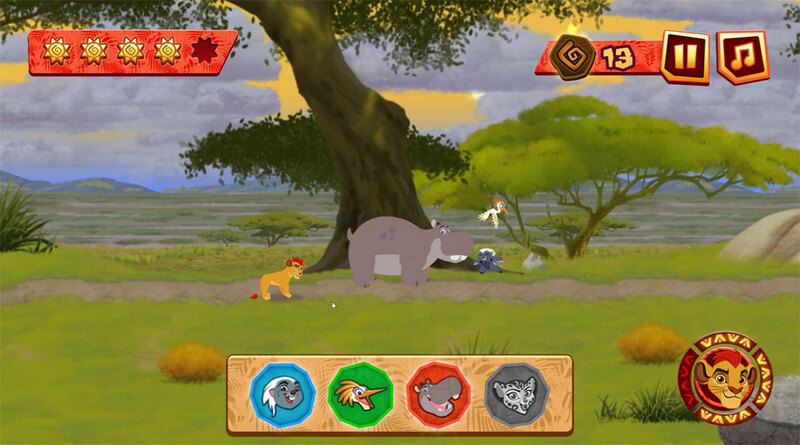 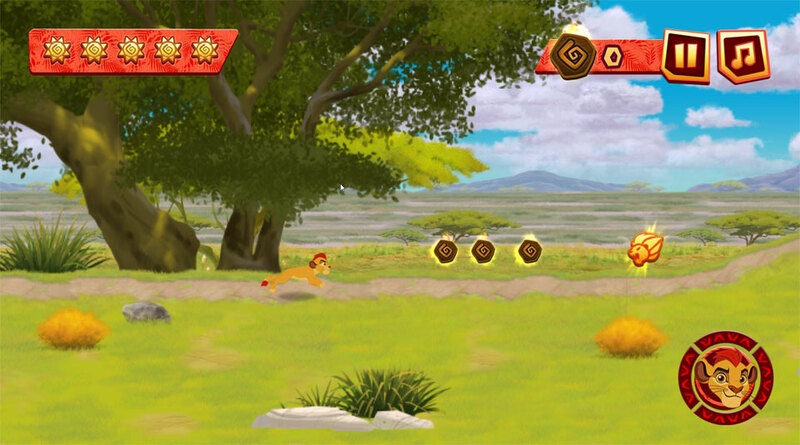 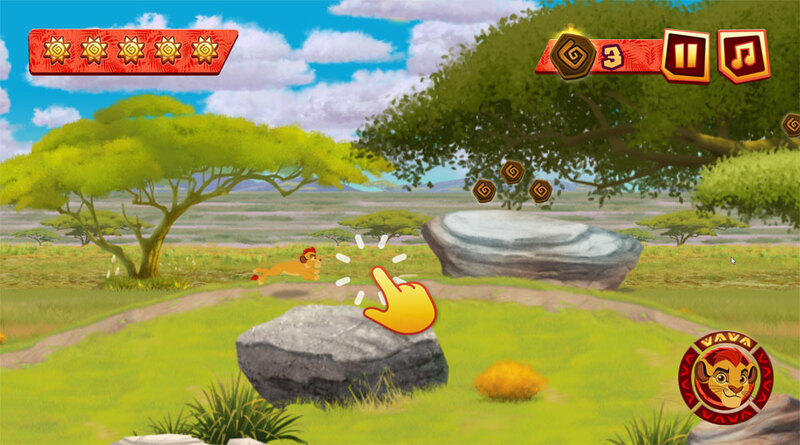 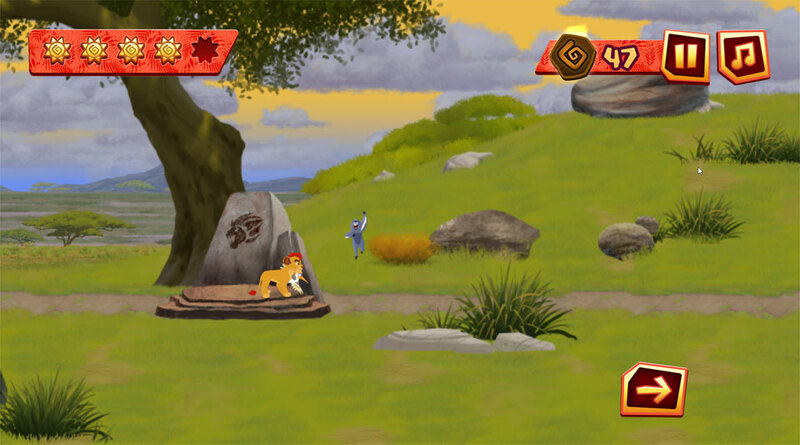 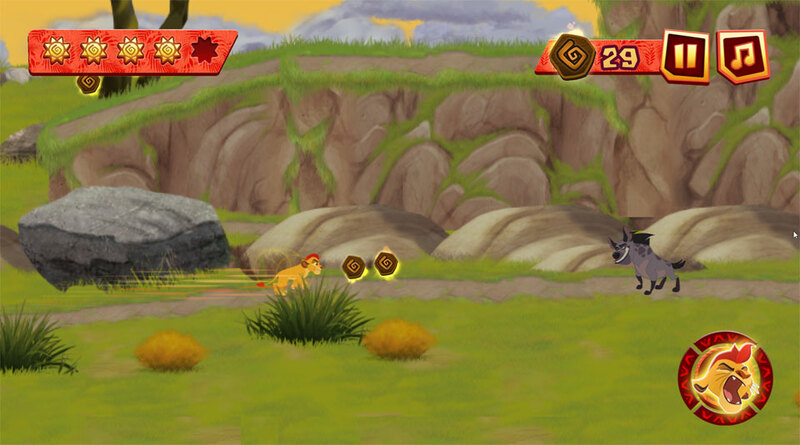 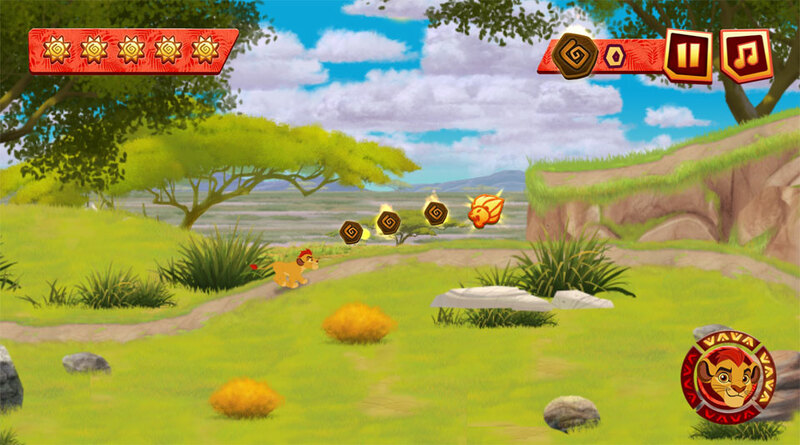 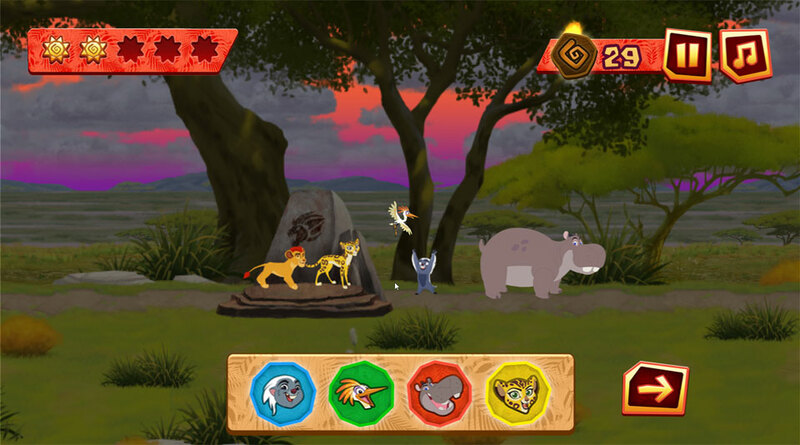 The Lion Guard Assemble is a scrolling platform game developed by Playerthree for Disney Junior to promote their new Lion Guard app. 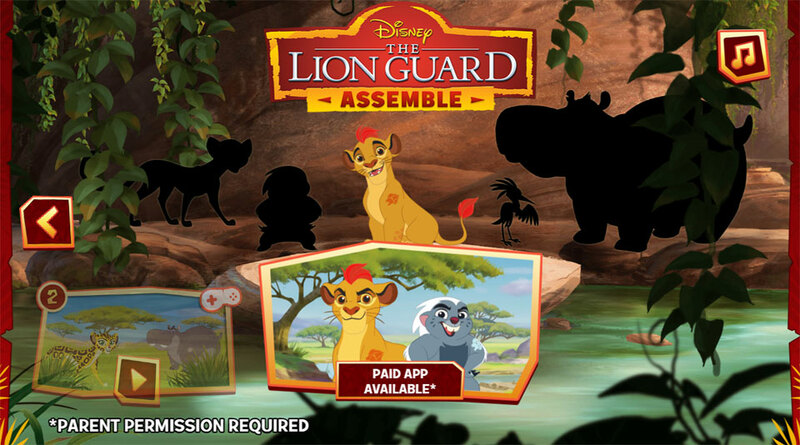 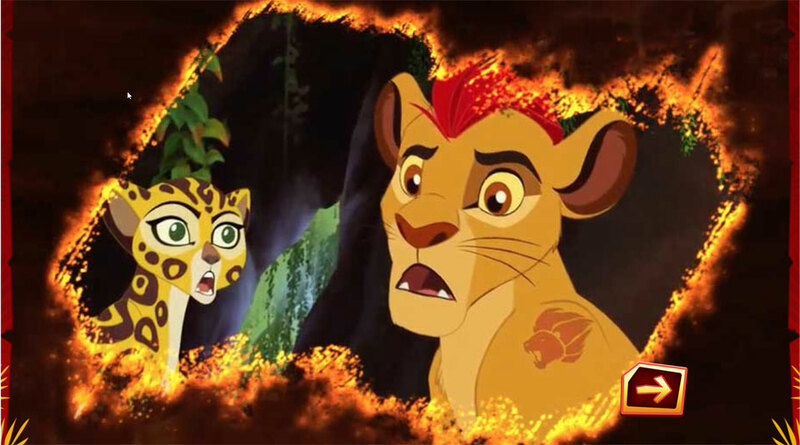 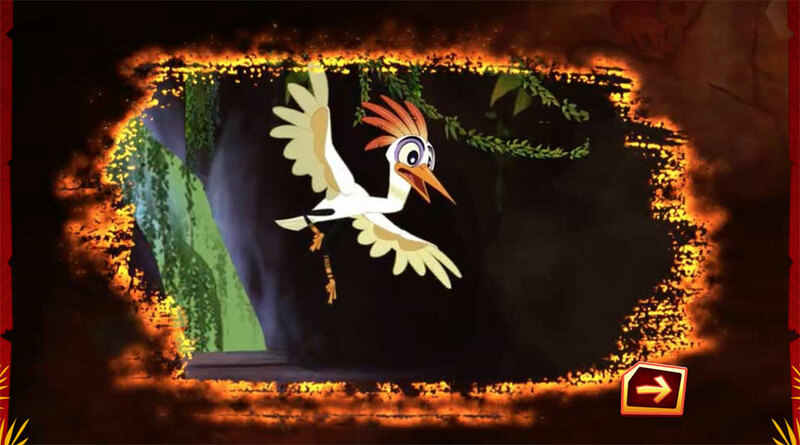 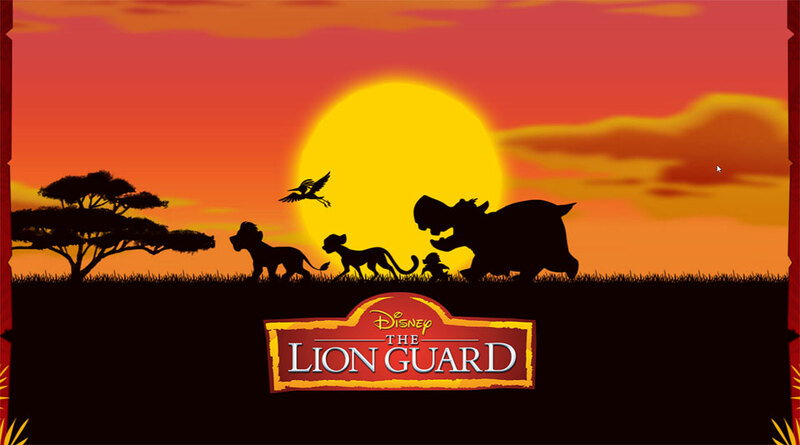 The Lion Guard is a new animated series on Disney Junior and Playerthree was approached to build a ‘pre-cursor’ to the app to be enjoyed on desktop and mobile devices. 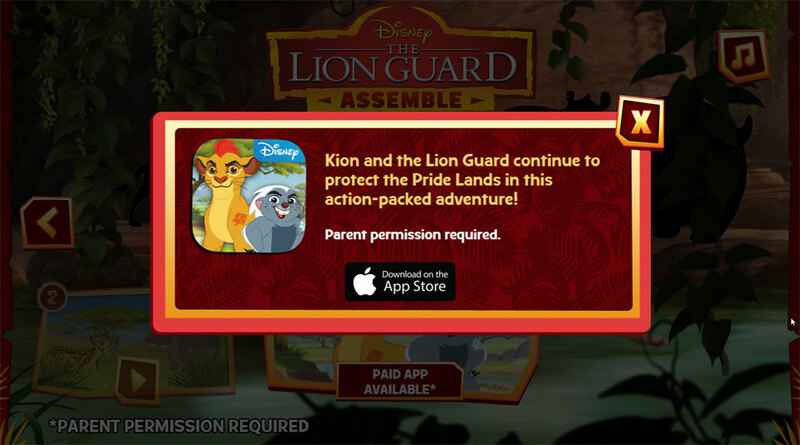 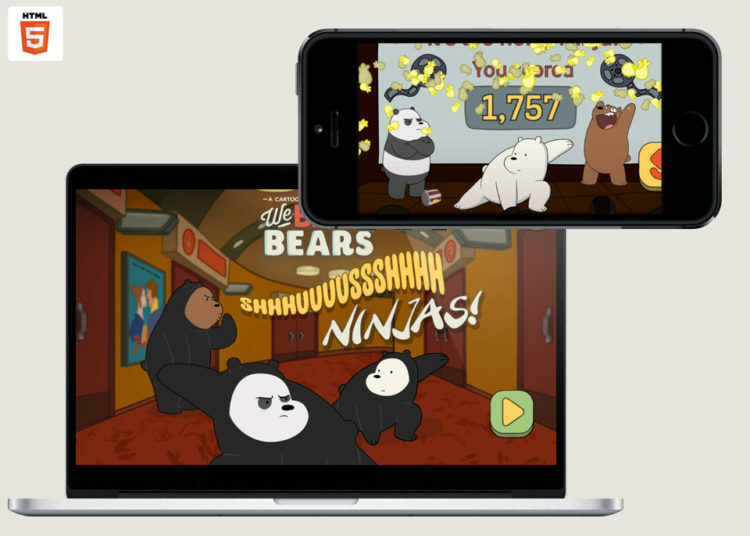 It was important that the game did not detract at all from the main app and is indicative of a limited set of features that can be enjoyed in the ‘parent’ game. 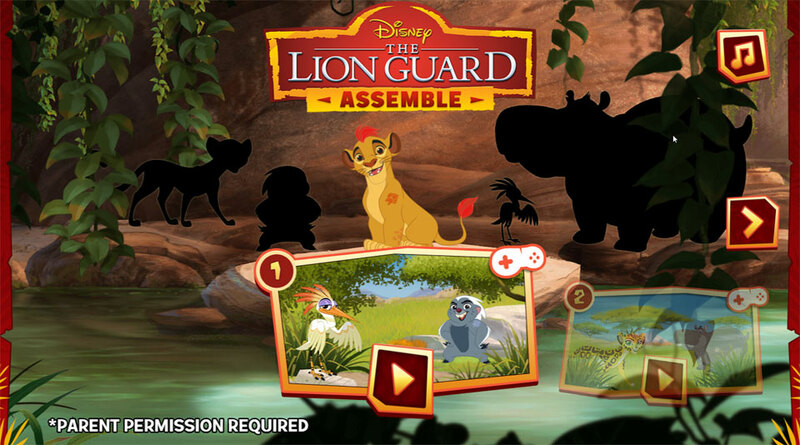 The Lion Guard app was already being developed by Disney in parallel but was far enough along that we could utilise many of the existing character assets as well as the look and feel of the app to give The Lion Guard assemble a completely consistent look and feel. 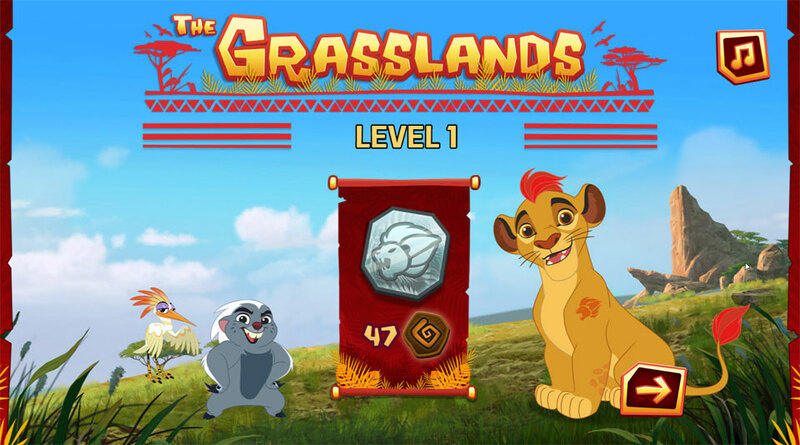 Even though we were developing and deploying onto a completely different platform and utilising different technologies to build the game the feel and pace of the game had to closely match the app. 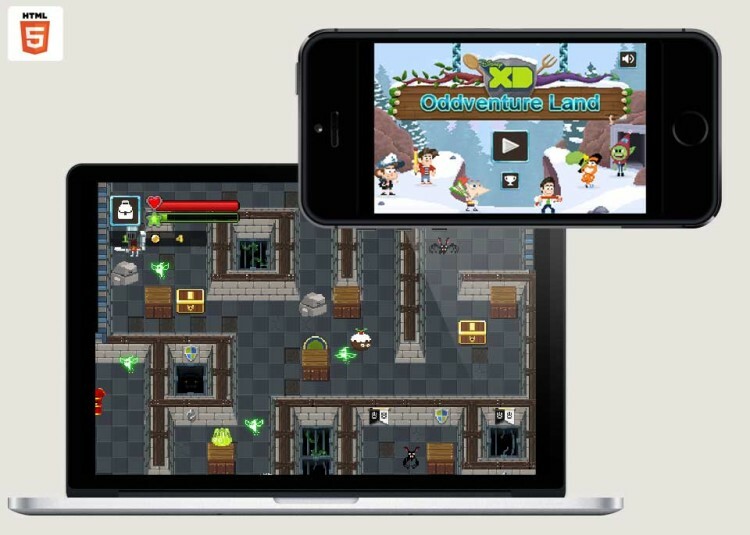 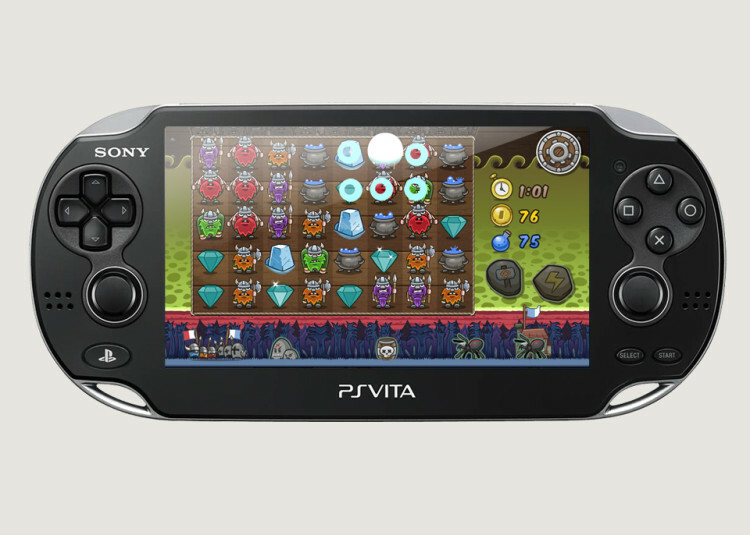 We needed to design and create some unique levels and create new platform assets optimised for HTML5 on mobile and desktop. 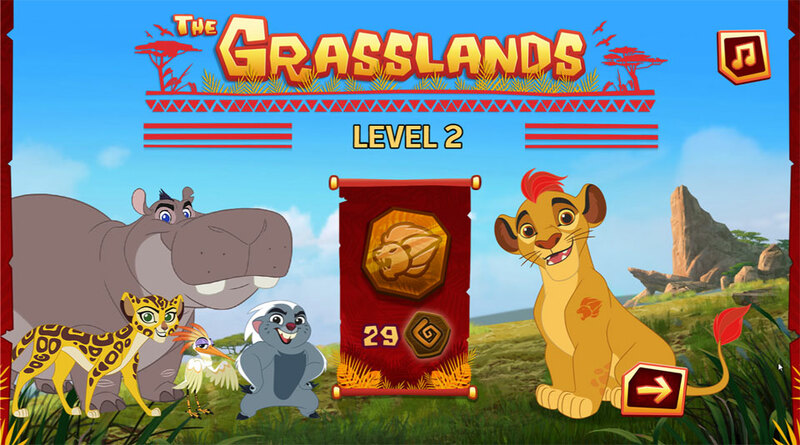 We created our own tile set and used the excellent Tiled tile map software to design the levels, creating the engine itself using Pixi.js.